You turn on the radio, select your favourite station and half-listen as you let the noise provide background to whatever you’re doing. Distracted by the task in hand, you almost forget the radio is even on, occasionally picking up on the odd familiar chorus. Then “BAM!”, you’re hit by a song so familiar, so iconic and so specific to a time and place, it immediately transports you back. You’re filled with emotion and memory from that point in your own time line. 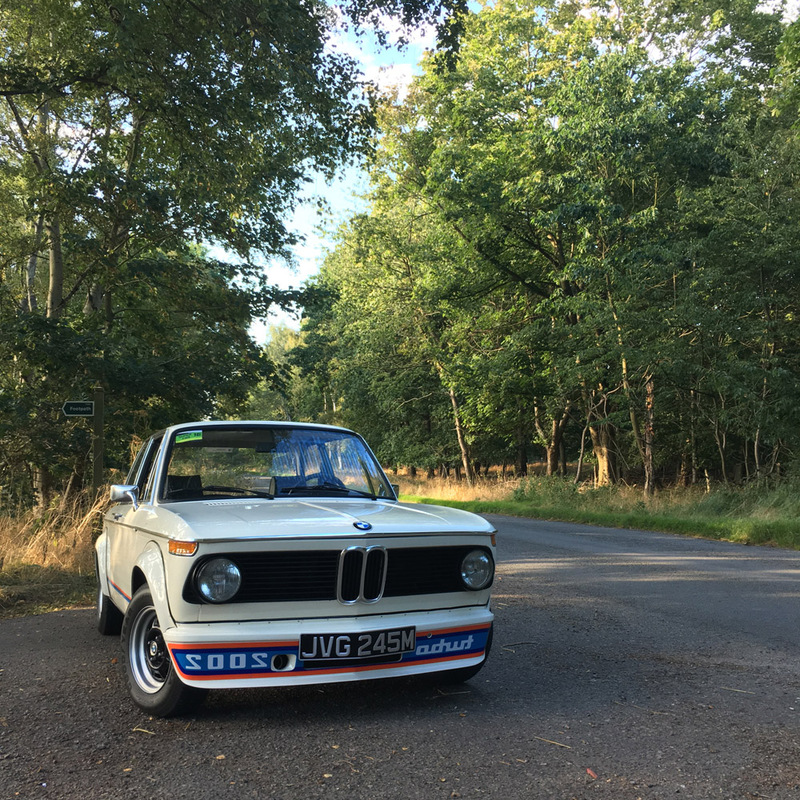 This is my 1973 BMW 2002 Turbo and like that song, it’s my personal time machine. 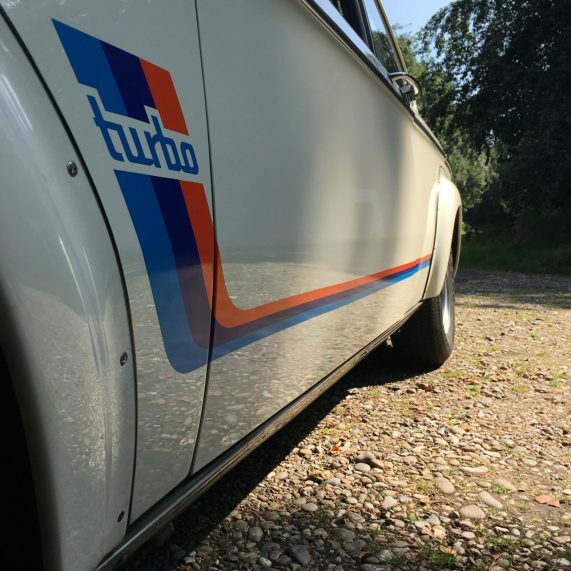 Walking up to the Turbo, you’re immediately struck by its silhouette. It’s an outline that speaks for an era; a point in automotive history when there was less focus on safety, less focus on aerodynamics and more focus on aesthetic appeal. The shark nosed stance, large proportions of glass and muscular, yet compact platform all shout of a different time. It’s just something you don’t see with thick-pillared modern cars. It’s also so square, a box of ideal proportions. 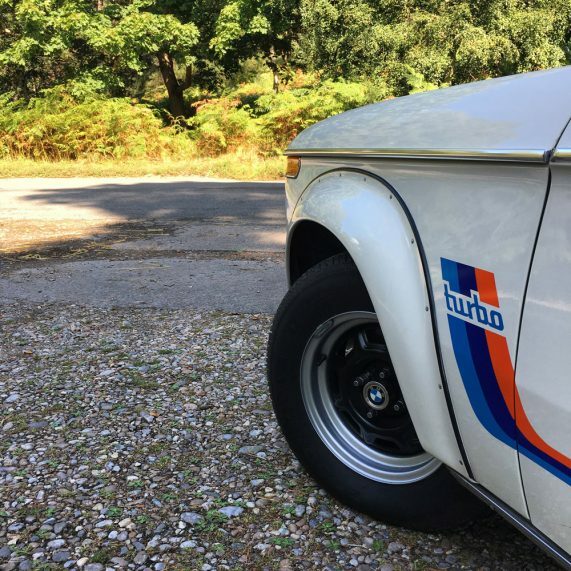 Built on the standard production line in Munich, between 1973 and 1975, the 2002 Turbo was developed by BMW Motorsport. Along with the 3.0 CSL, it’s often considered one of the first BMW M cars, although the official ‘BMW M’ badging of cars coming out of the motorsport division wasn’t introduced until a few years later. 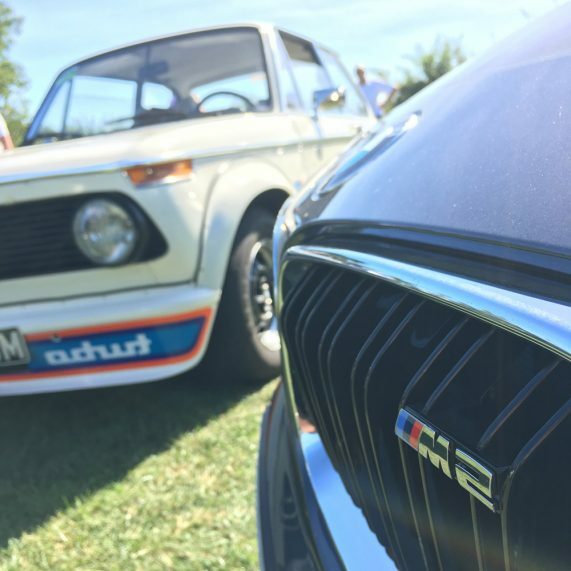 A total of 1,672 BMW 2002 Turbos were produced with 12 of that number being pre-production prototypes. It’s a rare car in the UK with reportedly only 9 registered on British shores. 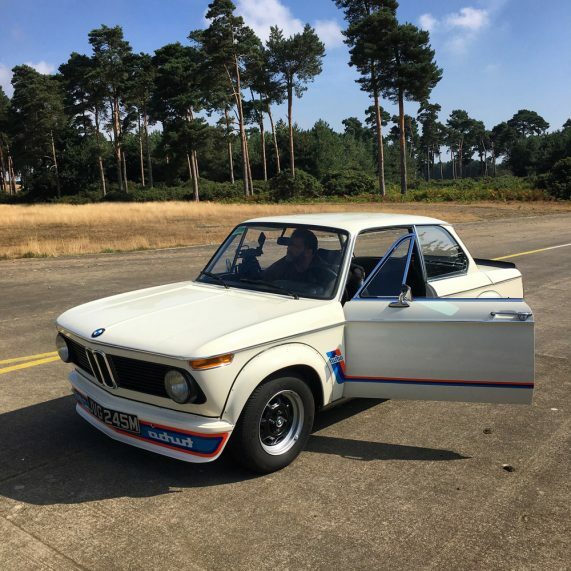 Taking the 2-litre M10 engine from the already potent Tii, the M division bolted on a KKK (Kuhnle, Kopp and Kausch) turbo charger, changed the compression ratio and added an oil cooler. These changes allowed for a sizeable 40bhp boost, taking the power to 170bhp at 5,800rpm. To cope with this newfound pace, larger brakes and LSD were also fitted. Sliding behind the wheel and into the relatively supportive leatherette sports seats, you immediately take in the retro racer vibe. The position of the steering wheel and ‘looseness’ of the gear lever shout classic car, but the red instrument surround and dash mounted boost gauge hint at hidden potential. Not that it’s that subtle, the exterior stripes, boot spoiler and screwed on flares give it a purposeful, almost boy racer image. Starting the Turbo up, dipping the clutch and selecting first, isn’t as easy as it sounds. The clutch is heavy, the gearbox is vague and the steering requires serious upper body strength. If you’re accustomed to driving a modern car, it can come as a shock. Older cars require involvement and attention. Once off the line and rolling the steering becomes more manageable, you just have to concentrate and be patient to get the gear changes smooth and swift. 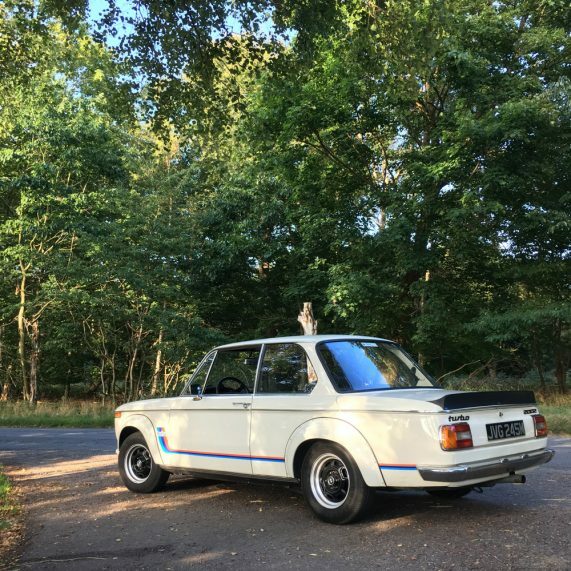 It’s these idiosyncrasies that make old cars such a joy to drive; they become part of its character. When this character is layered upon a purposeful car like the 2002 Turbo, you start to discover something very special. Driving with pace takes focus, you need to consider each action and work with the car. 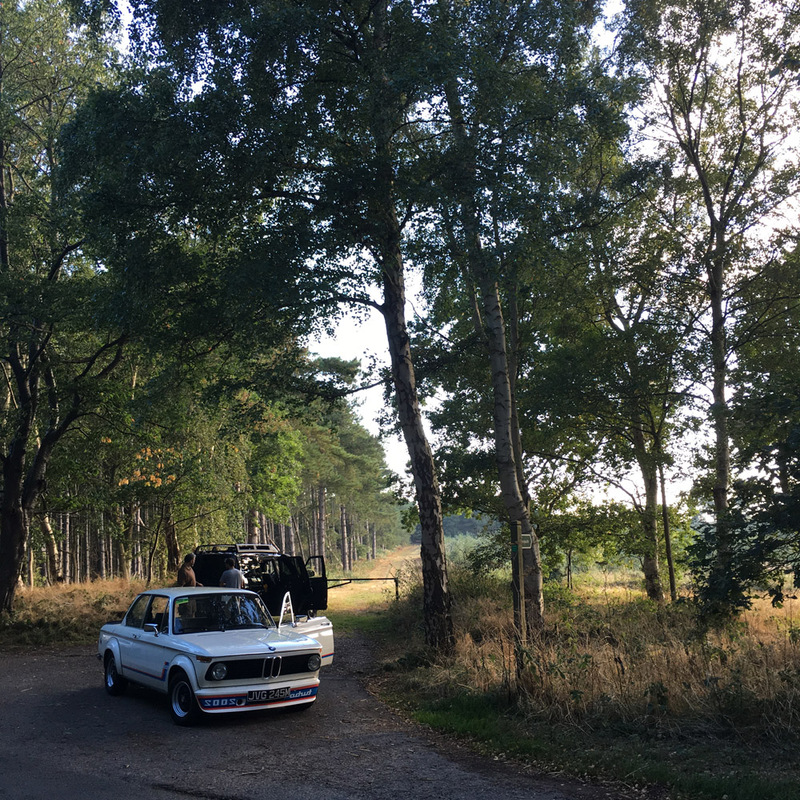 As you and the car find your rhythm, your mind fixed on the task at hand, you forget about the worries of the day; it’s automotive meditation. And just like the Zen masters of old, you find flow. 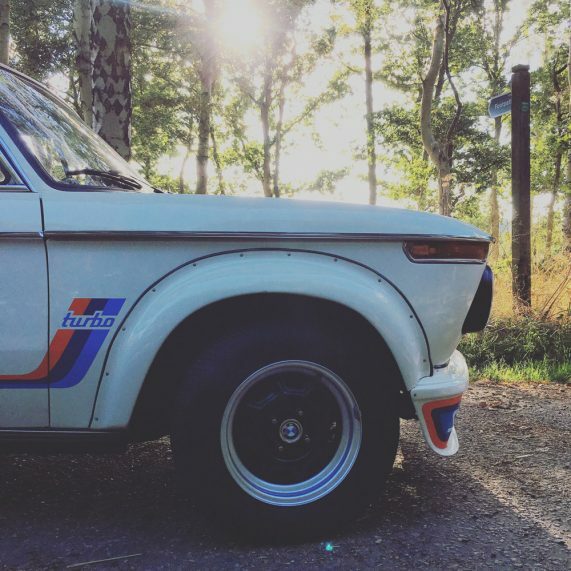 The BMW 2002 Turbo, is an icon. My personal time machine.